Soccer cleats have seen some pretty game-changing breakthroughs in the last decade — lightweight synthetics, sock-like knits, and all-conditions grip are just a few of the ways that cleats have improved the way players perform on the pitch. 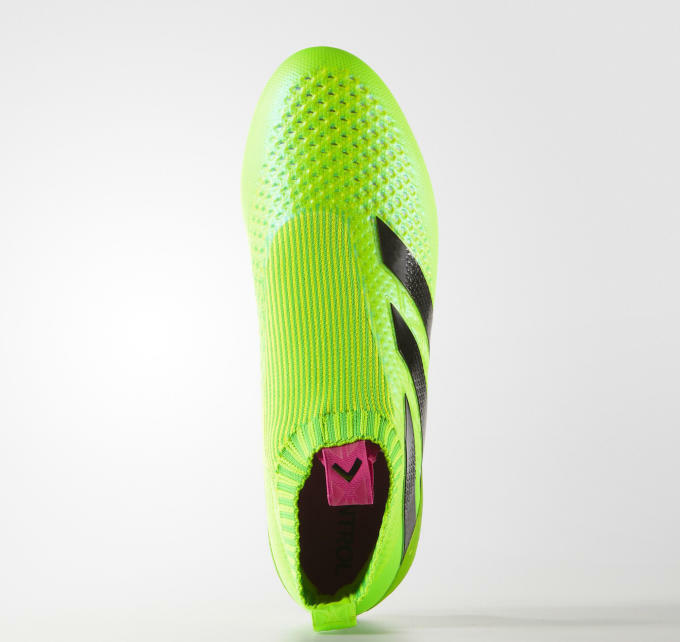 Today, adidas officially unveiled the next chapter in revolutionary soccer tech: a fully laceless boot. 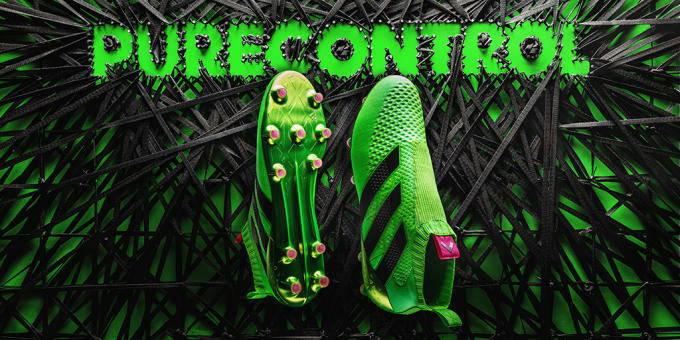 Making its debut on the Ace 16+ PureControl FG, adidas&apos; laceless technology is known as PureCut and allows players to have optimal control of the ball by removing edges and overlays that might otherwise get in the way. In place of the traditional laces are a snug Primeknit upper that&apos;s been enhanced with Techfit and a TPU cage over the Three Stripes for midfoot integrity. Not only does this provide more control than before, but the full Primeknit construction means there&apos;s no break-in period — these will feel "just right" straight out of the box. Mesut Ozil was among the first players to try out the new boots, and he&apos;ll debut them on the field on January 23. 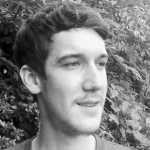 "I revealed to adidas in 2014 that in the changing room I knot the laces over and over again and then tuck in the ends, that way they do not interfere with my touch," Ozil said. "When they came to me last year with the laceless boots, it was like they have created my dream product. I cannot wait to wear them on the pitch." 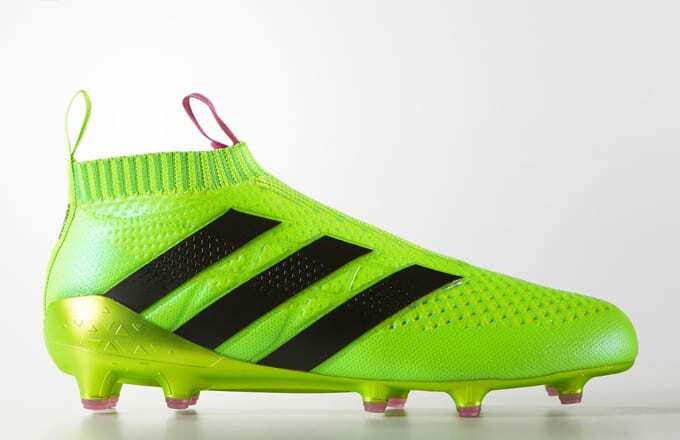 The adidas Ace 16+ PureControl FG​ is now available in limited quantities for $300 from adidas.com. 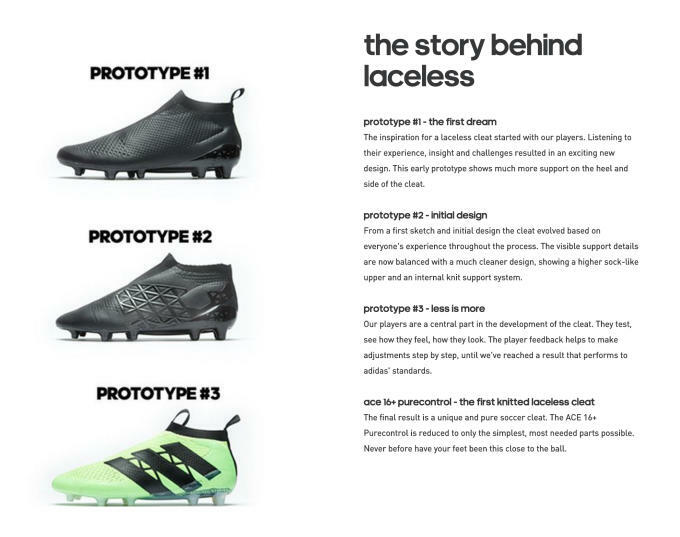 Check them out below along with a look at some of adidas&apos; prototypes leading up to the fully laceless boot.